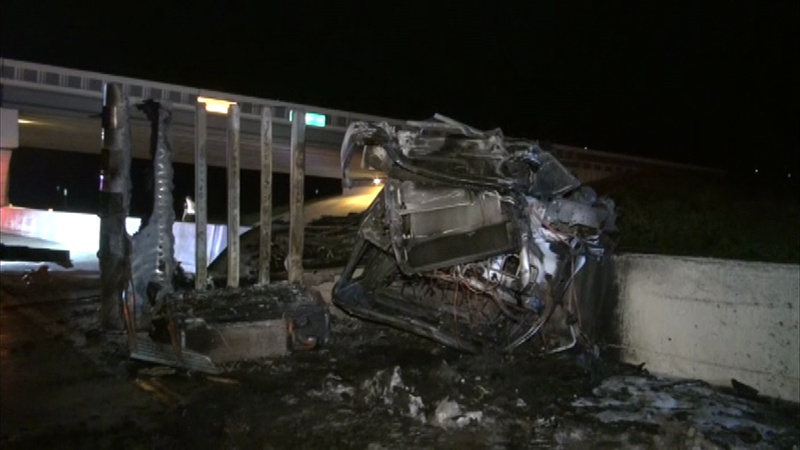 WILLIS, TX (KTRK) -- A fiery truck accident has part of I-45 shut down in Montgomery County early this morning. The crash happened on the southbound lanes of the freeway at Calvary. Traffic southbound was down to one lane beginning at Shepherd Hill but those lanes have been reopened. All northbound traffic is shut down at Calvary. Deputies say the truck somehow lost control, strurck the side wall and flipped. A fire then broke out and destroyed the entire truck which was carrying produce. The driver of the big rig was taken to Conroe Regional Medical Center for treatment. No other vehicles were involved. Tune in to Eyewitness News this Morning for the latest updates from traffic reporter Katherine Whaley.